A delegation from Manchester is visiting India’s key IT clusters in a bid to attract India’s top firms to the North, build new relationships and showcase the city as a leading business destination. MIDAS, Manchester’s inward investment agency, and Deloitte India are hosting prelude sessions to Deloitte's Technology Fast 50 in Delhi and Bangalore. The sessions, held between November 10th and 14th, will identify top performing companies in India’s thriving IT industry. MIDAS is also offering India’s leading SMEs and start-ups seeking collaborative opportunities in the UK, the chance to win one of two Manchester establishment packages of support worth over £25,000. Rajiv Sundar, Partner, Deloitte India, said: “The Technology Fast50 program recognizes the fastest growing technology businesses in India based on their percentage revenue growth over the past three financial years. It is a recognition of both their growth and ambition. Earlier this year, MIDAS and Deloitte delivered a series of events in the city as part of a ‘Make in India, Innovate with Manchester’ initiative targeted at professionals and academics from creative, digital and tech, advanced manufacturing, life sciences and aviation sectors. 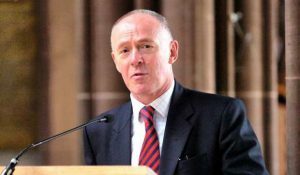 Sir Richard Leese, Leader of Manchester City Council, said: “India is a critical market for Manchester and through focused activities such as the Fast 50, we hope to attract some of India’s most exciting companies to Manchester. Indian organisations with established operations in the city include Vistaar Productions, State Bank of India, HCL Technologies and Aegis.